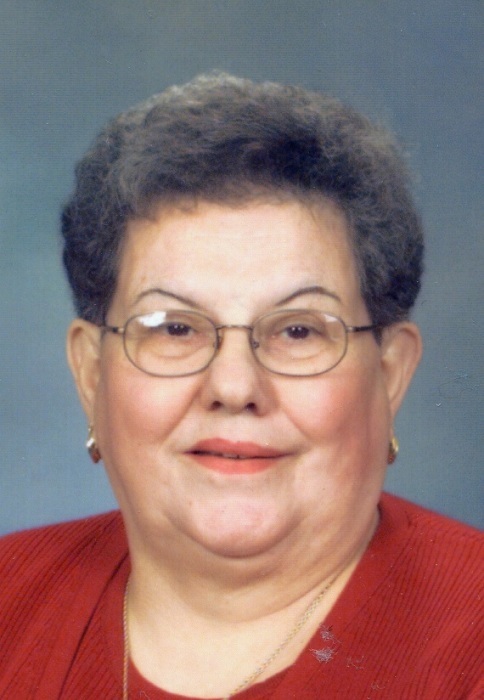 Memorial services for Mary C. Dreher, 86, of Norfolk will be 10:30 a.m., Friday, January 18, 2019, at St. Mary's Catholic Church, Norfolk: Rev. Dan Andrews and her brother, Rev. James Schmitt will officiate. Burial will be in Prospect Hill Cemetery, Norfolk. Visitation will be Thursday from 5-7 p.m. at the church with a rosary at 7. Home for Funerals is in charge of arrangements. Mary died Tuesday, January 15, 2019 at Norfolk Veterans Home. Mary Catherine (Schmitt) Dreher was born in Ulysses, Nebraska at home, on June 4, 1932, the daughter of Charlie and Hannah Schmitt. She had beautiful dark black hair with oh so many curls. She was a fun-loving young child, who always had a quick wit. She loved baking with her mother and grandmother who also lived in their family home. She became a big sister to Rev. James Schmitt when she was 6 years old. Their family made so many memories together throughout the years. They moved to Lincoln in 1941, where her father found employment. Mary graduated High School from St. Mary’s Cathedral in Lincoln, Nebraska in 1950. She met Elmer Dreher at a High School football game and the two were married on July 5, 1951. Together they had 4 children, Peggy, Mike, Patsy & Paula. They lived in several locations including North Platte, Fremont, Lincoln, Kearney, Kansas City, MO, and finally making their home in Norfolk. They were married for 62 years, until Elmer’s death in September, 2013. Mary worked at JCPenney for over 35 years, retiring in 1995. She worked in the Electronics department, Catalog, Men’s, Women’s, but Jewelry was her favorite. Everyone knew Mary and enjoyed working with her. She loved to spend her time sewing, knitting, cooking and baking. She and Elmer traveled a lot in their retirement years. They visited the Holy Land, Mexico and frequented California, Nevada, Wyoming and Colorado. She absolutely enjoyed having her family come visit and spend time together with their friends. Mary was a devoted Catholic who was highly involved in the churches they attended. She was a member of Catholic Daughters, Altar Society and a very active member of Sacred Heart Parish, here in Norfolk. Her love for the church came naturally as she enjoyed helping many people and praying for them in any way she could. She was also an active member of the council at the Norfolk Veterans’ Home and loved voicing her opinion. Her genuine smile, cheerful voice and strong love will be missed dearly by her family. Mary is survived by her children and their spouses: Peggy & Paul Braden of Kearney, Mike & Deb Dreher of Norfolk, Patsy & Rick Havenridge of Springfield, Paula & Roger Buss of West Point, seven grandchildren; three great-grandchildren; one brother, Rev. James Schmitt of Grand Island. She is preceded in death by her parents and loving husband Elmer. Memorials may be directed to St. Mary’s Catholic Church.